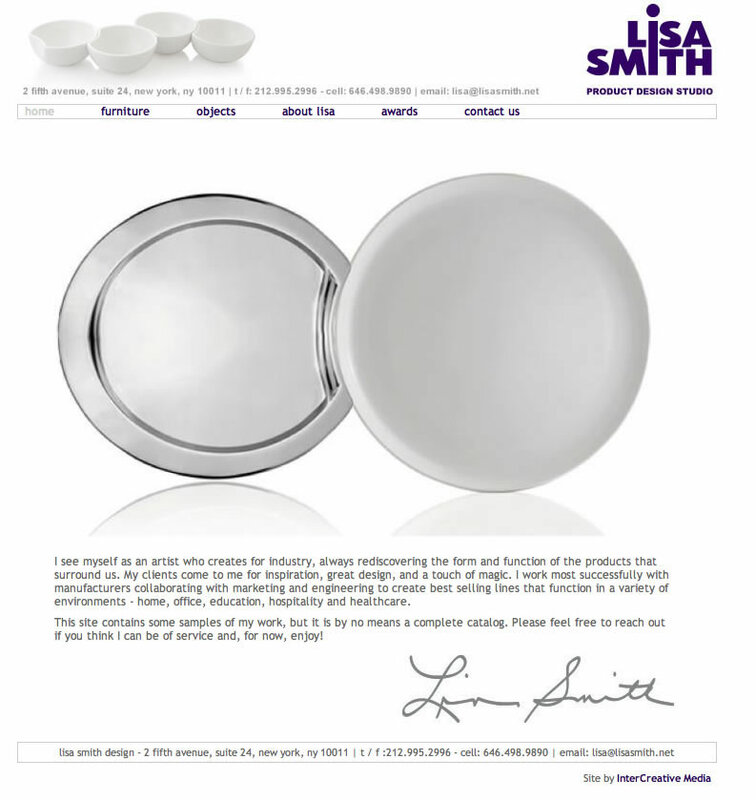 When Lisa Smith - a top industrial designer - needed a new site, she turned to InterCreative to create a web presence for her work. The challenge was to showcase her numerous products in a way that was consistent with their elegant, yet functional style. Click the link below to take a look. We came up with a clean, easy-to-use interface to provide detailed images and descriptions of the numerous pieces, categorized as either "objects" or "furniture." Her Spiral Candlesticks are well-known and are seen all over the world. And her Crescent Collection (inspired by New Orleans, the "Crescent City") has proven to be immensely popular; Lisa is contributing a percentage of the proceeds from the sale of all Crescent Collection items to relief efforts for the victims of Hurricane Katrina. Lisa is not only a designer; she's also an innovator and holder of patents in the field of cutting-edge heat-dissipation materials. Keep your eye out for Lisa's new line of cookware that is expected to hit the market in 2011.